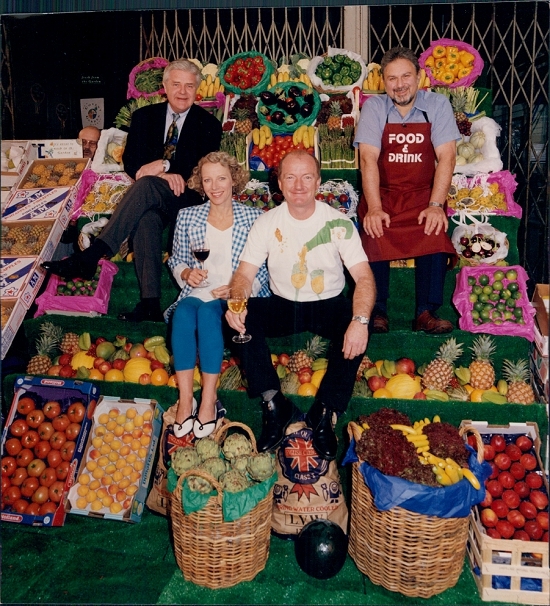 The 11th November 2014 marks 40 years since New Covent Garden Market first opened its doors for business, with the promise of continuing to fulfil all of London's fresh produce wholesaling needs. And that’s a promise that we continue to keep to this day! 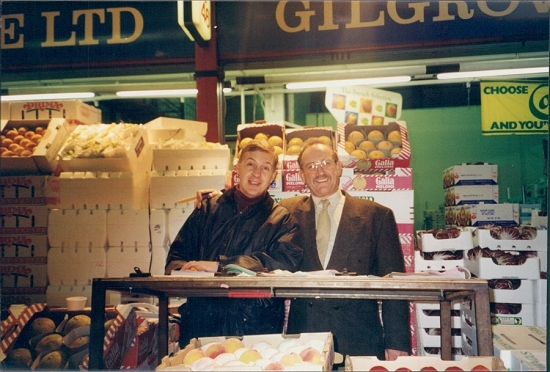 Day and night, for 40 years, we've proudly been feeding and flowering London from our home at Nine Elms with a passion for the highest quality produce and the best service. 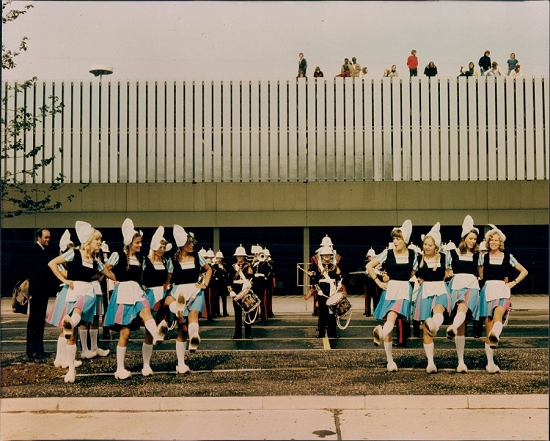 The pictures below give you just a glimpse of some of the things we've been up to in the last forty years. Covent Garden dates back to medieval days when the Abbey of Westminster owned the 'Convent Garden' from which surplus produce was sold to Londoners. A regular market grew and in 1670, Charles II granted a charter to hold a formal market there. The market grew rapidly and the 'Charter' Market was erected in 1829/30. 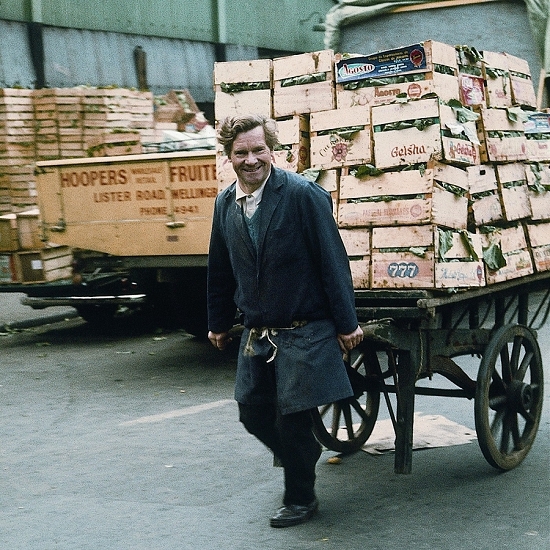 It spread to some 30 acres and by the end of the 19th century it was the most important fresh produce market in the UK. Produce from around the Empire and beyond would come to London's docks and into the market to serve the capital's hotels, restaurants, high street shops and street stalls. 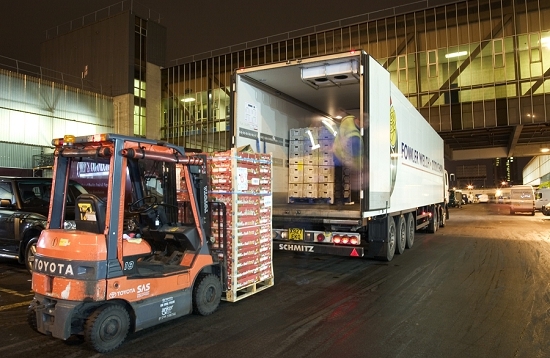 Much of the innovative and exotic produce was also distributed nationally, up to Scotland and across to Ireland. Although successful, the market was a chaotic place and by 1890 people were complaining about the congestion in the narrow streets. After WWII, and with the advent of larger vehicles, congestion became even worse. 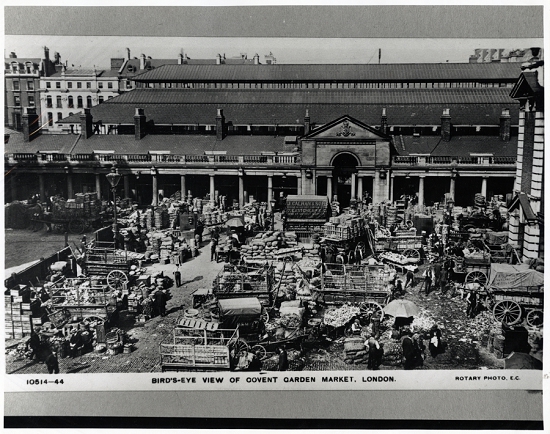 The Government recognised that public sector involvement would be necessary and in 1961 Covent Garden Market Authority was established. 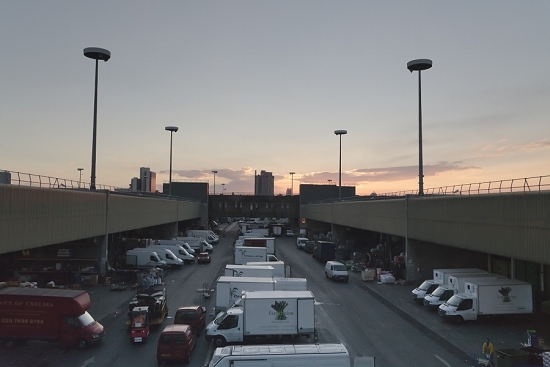 Nine Elms was selected as the new home for the market and construction began in 1971. 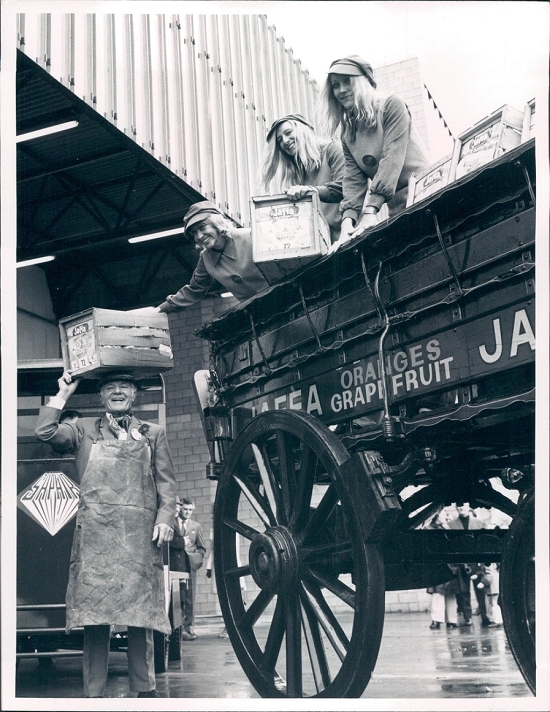 On Monday 11 November 1974 the largest wholesale fruit, vegetable and flower market in the UK began trading on the new site. 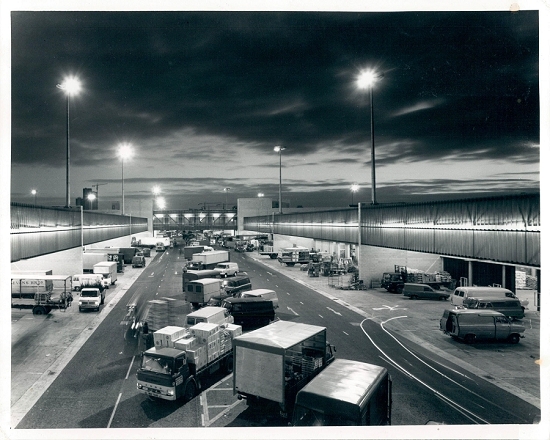 Within 10 years there was a seismic change to the market trade: supermarkets stopped buying from the wholesalers and went direct to suppliers. 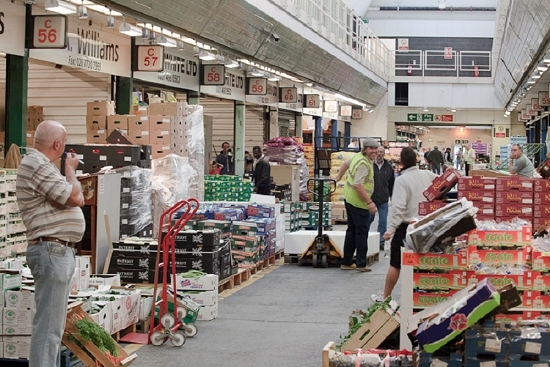 New Covent Garden Market evolved into distribution, with the bulk of its trade now in servicing and distributing to London's burgeoning hospitality industry. 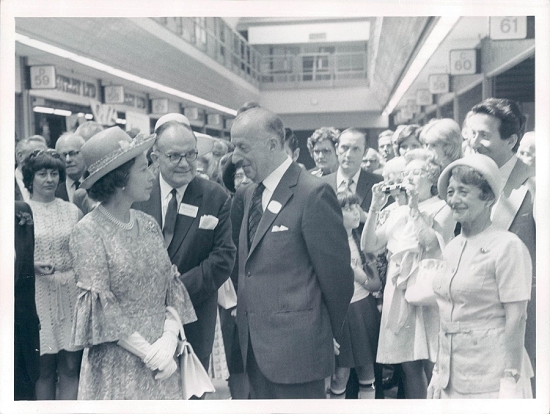 On Thursday 26 June 1975 Her Majesty The Queen and the Duke of Edinburgh came to Market to grant us with a Royal Opening. The day was brilliantly sunny and large crowds of families and friends of Market people had come to join the celebrations and to welcome the Royal visitors. 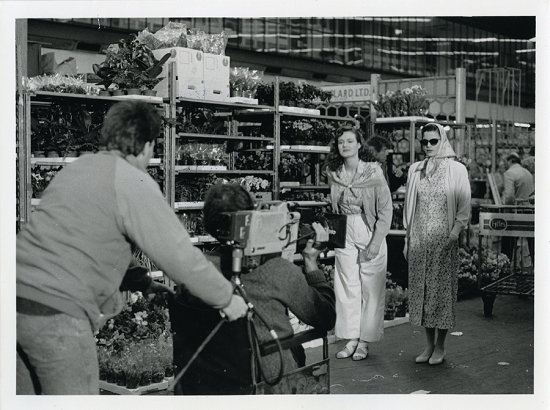 The Queen and Duke of Edinburgh visited the Buyers' Walk and the Flower Market where they met traders and many Market people. 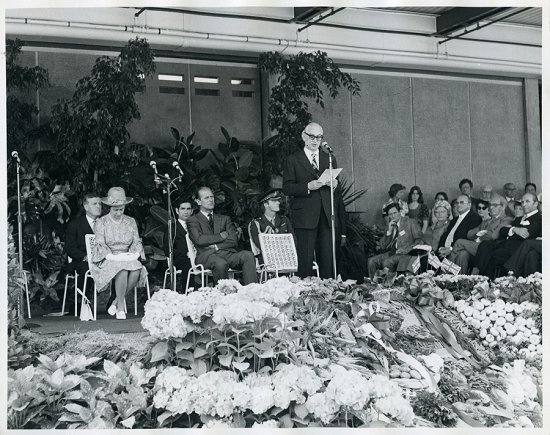 Later, on the loading dock of the Flower Market, the Queen made a speech wishing the Market well, unveiling a plaque commemorating the opening. 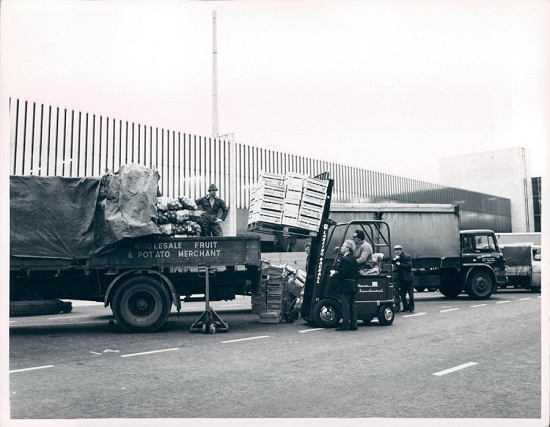 It has been 40 years since we first started trading from our home at Nine Elms and both the food and flower industries have seen considerable changes. 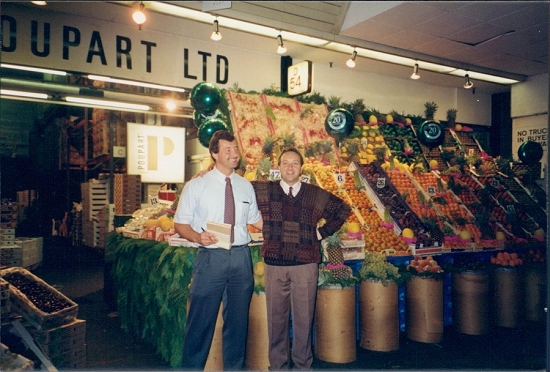 But one thing has never changed; our passion for the highest quality produce and the best service. 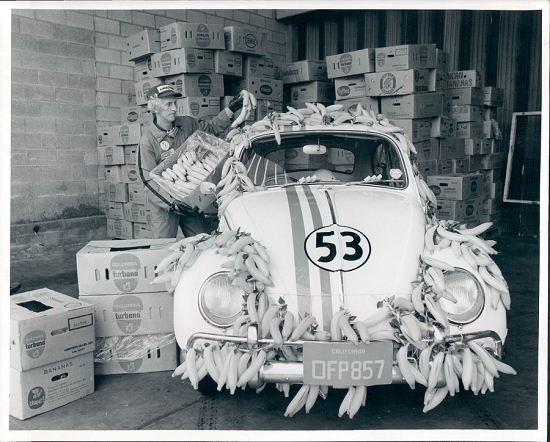 State of the art refrigerated vehicles now dominate the Market's views and you'll see produce on our Buyers' Walk that you simply couldn't find 40 years ago. Anyone for a strasberry? for bananas and we now consume more onions than any other vegetable. 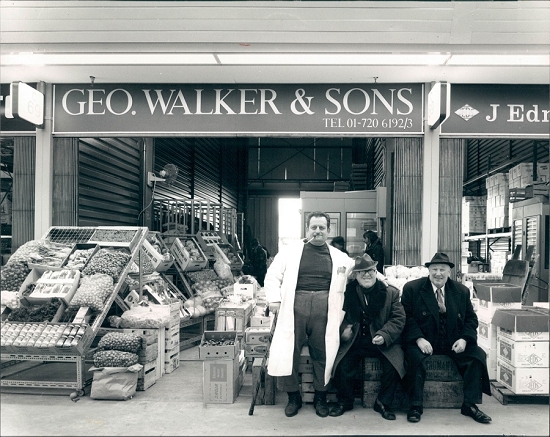 The Market has been proud to welcome many familiar faces over the years, from politicians to TV chefs and even page three models! The Market's lure stretches far and wide. Almost every week we have something different going on at the Market. From TV and radio crews to fashion shoots, promotions and even full blown concerts.. we've seen and continue to see it all! 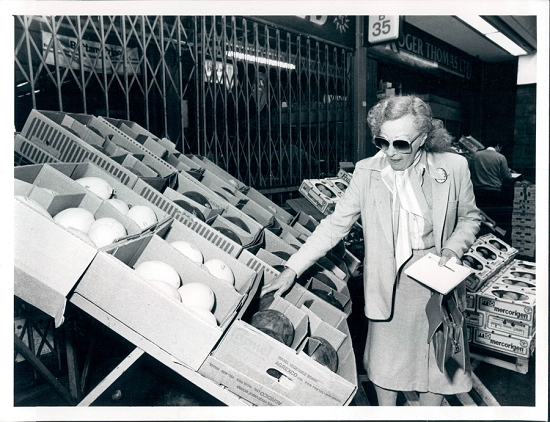 The Market is nothing without the people who make it so special. Generations of families have come through the ranks and friends are made here for life. Here are just some of our terrific traders who have graced our stands. I hope you've enjoyed looking back at just some of our memorable moments in the past 40 years. 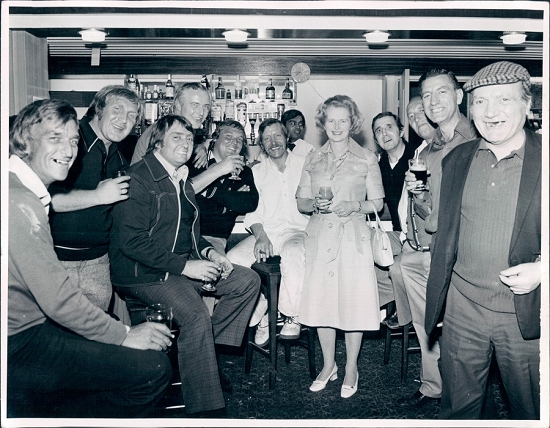 I hope it has brought back fond memories for you or it has given you an insight into our rich history. We have put together a little booklet with these photos and much more. You can download a copy below or if you'd like us to post one out to you for free, simply email us at info@cgma.co.uk or call us on 020 7501 3495. 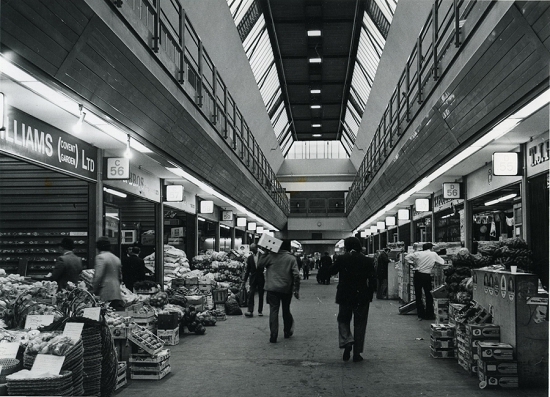 Other celebrations of the 40th Anniversary have included an exhibition of pictures and photographs at City Hall and the commissioning of Clive Boursnell to capture contemporary life at New Covent Garden, 40 years after his series of photos at the old market. 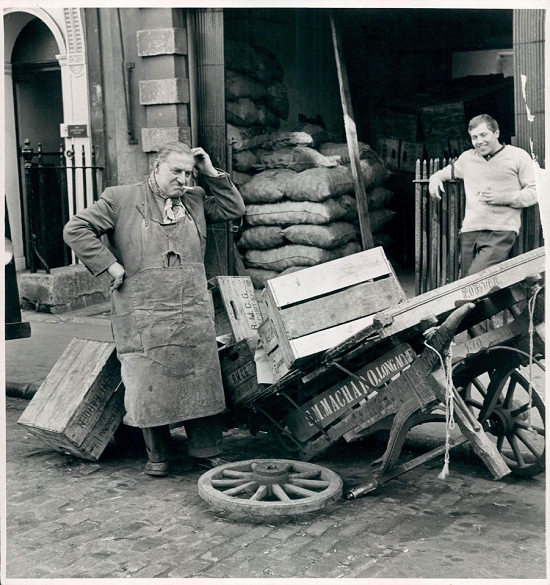 We are also working on recording some oral histories of the Market which will be stored at the London Metropolitan Archives and available online. 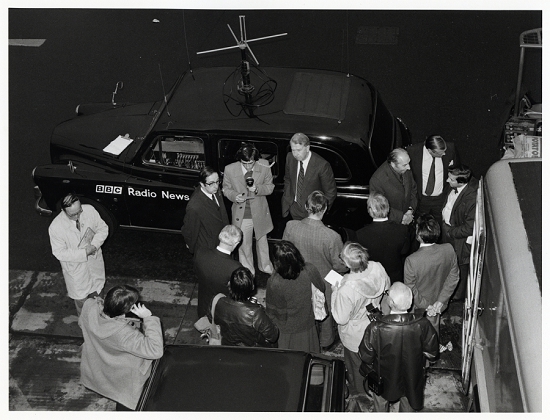 If you are interested in more information about these projects or have photos or other mementos of the last 40 years that you would like to share please do contact me on 020 7501 3495 or email info@cgma.co.uk. We'd love to hear from you.